Over the last two years, the RSS and BJP have made many attempts to demonise Mamata Banerjee as 'pro-Muslim' and themselves as 'emancipators' of upper-caste Bengalis. The result? So far, no good. Unprecedented dramatic scenes were witnessed in Kolkata on Sunday, February 3. Around 35-40 officers from the Central Bureau of Investigation (CBI) reportedly reached the Kolkata police commissioner Rajeev Kumar’s residence. If you are a high-profile person with state security deployed at your residence, it is highly unlikely that your security guards would let a group of men suddenly barge in. And so, it happened that the Kolkata police didn’t let the CBI team in — they also went a step ahead and detained them, put them in vans and sent them off. Last heard, only Rajinikanth was capable of such feats in his films. The CBI comes to arrest commissioner of police — police arrest CBI. Like changing the course of a running bullet. 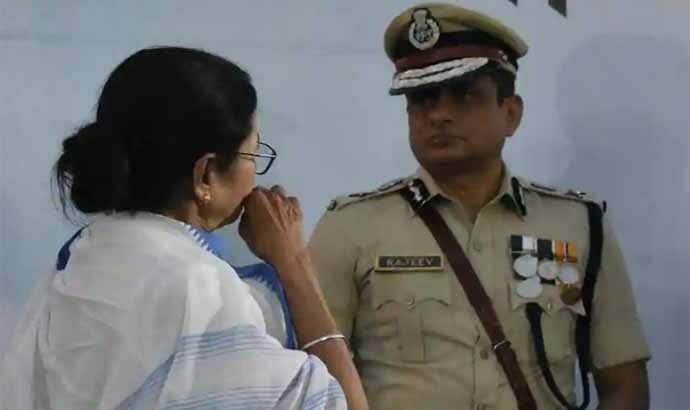 Within hours of the drama, West Bengal Chief Minister Mamata Banerjee herself reached the commissioner’s residence and literally stood like a wall guarding Kumar. In the dark of the night, she gave a passionate speech, singing paeans for the Kolkata police force, whom she called one of the “best in the world” in efficiency and integrity, and made a scathing attack against Narendra Modi and Amit Shah for using the CBI as a tool for political vendetta and to attack the federal structure of the Constitution. She gave a clarion call to all forces and administrative services to condemn the CBI action, which eminent advocate Indira Jaising called an “illegal and grossly malafide attack on federalism”, and then moved to Metro Channel to sit on a dharna against the central government — an act she called ‘satyagraha’ to ‘save the Constitution’. This was an all-out war declared against the might of the Rashtriya Swayamsevak Sangh-BJP by the indomitable Bengal Tigress. It comes on the heels of a series of events whereby the West Bengal CM has repeatedly asserted that law and order is a state subject — and fiercely guarded her territory. In December 2018, the BJP’s most ambitious plans for Bengal, a grand Rath Yatra, traversing through all the 42 Lok Sabha constituencies in Bengal, covering a distance of approximately 17,000 kms, featuring BJP top brass including Prime Minister Narendra Modi, was thwarted by the West Bengal government as permission was denied at the last minute, citing law and order threats. While an angry BJP quickly knocked on the court’s door, accusing Mamata Banerjee of political vendetta, the fact is that whichever court’s door the BJP knocked on — Supreme Court or Calcutta High Court — refused to interfere with the Bengal government’s decision. The Supreme Court said that the apprehension of a possible law and order situation could not be called “unfounded”. Thus, contrary to the BJP narrative that Banerjee has unleashed anarchy in West Bengal, the law was clearly on her side and her administrative actions probably saved lives. Several BJP leaders have been denied permission to land their choppers and forced to take long road trips from Jharkhand to Bengal. In these cases, the BJP didn’t knock on the court’s door, lest that backfired and Mamata’s decisions were vindicated by the court. The 2018 West Bengal gram panchayat elections too have been extremely heated with the BJP accusing the Trinamool Congress (TMC) of using threats and violence to intimidate BJP candidates and not even allowing them to contest. It is a fact that about 34 per cent of the seats were won by the TMC uncontested. Even the Supreme Court expressed shock over the sheer number of seats — 20,076 out of the total 58,692 — actually having gone uncontested. Hardly ever has a political party in India put so much effort into one state and faced so much resistance — Banerjee stands like a hill, guarding the 42 Lok Sabha seats and the BJP keeps rolling the boulder back up the hill rather like Sisyphus. But what has the BJP gained in this battle so far? And what do the people of Bengal make out of the huge power struggle? These questions remain unexplored. The Bengali electorate and the BJP are in a peculiar love-hate relationship. To begin with, there is no one type of Bengali electorate. The state has diverse cultures, languages, classes and castes. There is the Bhadrolok who cares about the revolution, Rabindra Sangeet and the Coffee House, and the chasha majdoor (farmers and labourers) who care about slogans like ‘land to the tiller’ and observe May Day, singing ‘Jagoroner gaan’ (songs of the awakening). Then, there is the innocent santhal — an identity immortalised by Mithun Chakraborty in Mrinal Sen’s Mrigayaa — there is the Bengali who gave rise to the Naxalbari movement, now called the 'Naxal' and the list goes on. But no matter how diverse Bengal may be, the BJP’s Hindi-Hindu-Hindustan trope has no takers. To begin with, Bengalis have a traditional clash with the Hindi language. Bengalis have a strong regional identity and Banerjee has guarded that well. Cultural icons, singers, actors and sportspersons are a common element in her rallies. It is only in her rallies that you’d hear the national anthem being sung in perfect baritone — following all the rules of singing Rabindra Sangeet. Second, Bengalis do not identify with the Hinduism the same way as north Indians do. Lord Ram, Hanuman and the Ram Temple are not part of a religious Bengali, who is much more likely to worship Goddess Kali, Durga, Radha Madhav, Chaitanya Mahaprabhu and a range of other regional gods and spiritual leaders. One of Bengal’s loveliest songs for Goddess Kali was composed by a Muslim, Kazi Nazrul. If I may dare put it simply, Bengalis can be a bit snooty, with a ludicrously large superiority complex. Gopal Krishna Gokhale did not make the comment, “What Bengal thinks today, India thinks tomorrow”, in vain. A Bengali thinks she is always ahead of others — and always right. For such a bunch, a new team player coming from outside, claiming, “You don’t know how to play this game, we would teach you, because we know better,” just doesn’t work. “Hindu khatre mein hai!” may work in the northern belt but Bengalis are way too proud and emancipated to have an identity crisis, so “Bengalis khatre mein hai” won’t cut much ice. Notably, even though it seems like a weak card, the BJP has been continuously playing no other card in Bengal except for the Hindutva card. Over the last two years, the RSS-BJP combine has made several attempts to demonise Mamata Banerjee as a pro-Muslim leader who does not care about Hindus. Religion is blatantly used to induce fear, hate and divisiveness among Bengalis. A barrage of fake news and photoshopped images are spread through social media to build fake narratives like Pakistan flags were furled in Bengal. The BJP IT cell secretary was also been arrested for allegedly indulging in communal activities. In every rally, leaders such as Yogi Adityanath, Sambit Patra and Amit Shah have repeatedly raised false alarms that “Durga Puja is in danger” and Mamata Banerjee is apparently giving more importance to Muharram than the Durga Puja. Ram Navami, a festival that had no significance in Bengal, has now become the BJP’s biggest event and platform to spread anti-Muslim messages. As a result of relentless provocation and hate speeches, 2017 saw a series of riots and violence in Bengal, among which the situation in Basirhat was the worst. In 2018, I personally visited Basirhat, Malda, Dinajpur and other areas, meeting families of hate crimes, including that of Kartik Ghosh, who was killed in the Baduria riots and Mohammad Afrazul, who was hacked to death in Rajasthan by Shambhulal Regar. Every person I spoke to told the same story. Seeds of hate are being planted in areas where there was not even an iota of communal tension for decades. Yet, everybody told me that there is tremendous resistance from people to this divisive agenda. All of them said unhesitatingly that the violence was deeply unfortunate, but there was no hate. “Bengalis don’t hate each other,” they said. So, why does the BJP play the Hindutva card in Bengal? Because, all said and done, Bengal is the land of the original Hindutva thought. The 19th century's social reforms and Hindu revivalism carried the seeds of modern-day Hindutva. It was in the works of Bankim Chandra Chattopadhyay and Abanindranath Tagore that modern Hindutva found the 'Bharat Mata' imagery. The upper-caste Hindu Bengalis, who revolted against the British colonial powers, also separated themselves from Muslims as they went back to the Vedic Hindu identity and Brahmanical supremacy. Their successors in present-day Bengal feel emasculated in a social setting where Muslims are not second-class citizens — this is the BJP’s target vote bank, those who can be given the illusion of 'emancipation' by inducing anti-Muslim hate and fear. And perhaps, the BJP has gained some ground in Bengal using this formula. But Bengal still has hope. The story of Imam Maulana Imdadullah Rashidi in Asansol, who lost his 16-year-old son seemingly killed by a Hindu group which reportedly held him hostage, and yet made an appeal, “…with your tongue or with your hand, none of you will cause any harm to any Hindu,” shows us there is hope. Amit Shah has set a target of winning 22 out of 42 seats. 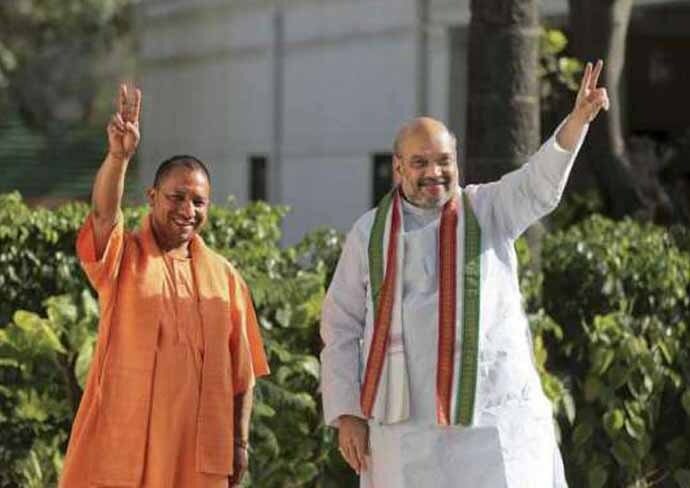 It remains to be seen how much ground the BJP has gained in one of India’s last secular bastions, the saffron party fervently using the Hindutva card that takes Bengal back to the 19th century.